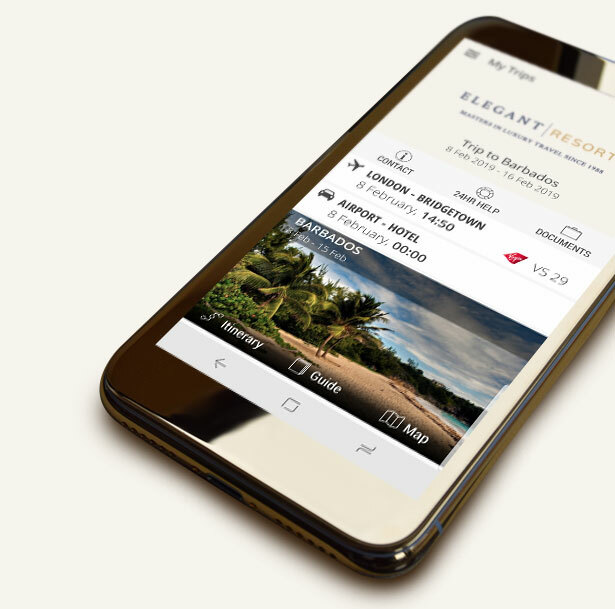 The Elegant Resorts Travel App is the perfect companion to take with you on your next Elegant Resorts luxury holiday and is the perfect complement to our exemplary concierge service and luxury travel expertise. 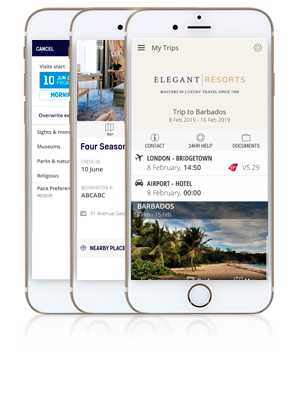 After you book with Elegant Resorts, our Travel App will be available for you to download, at your convenience, onto your mobile phone or tablet. 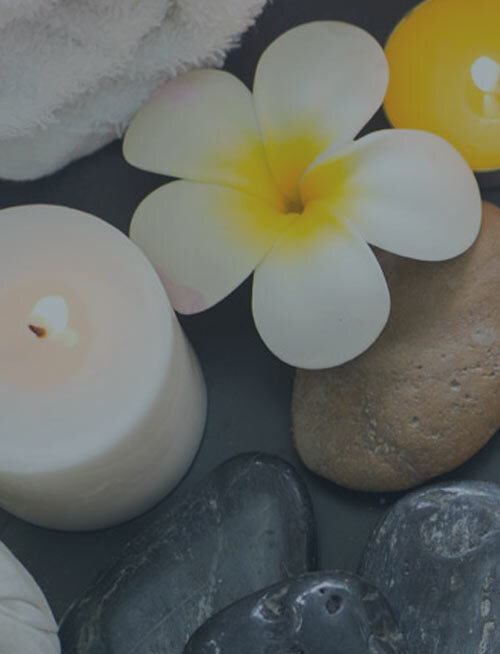 Once you book with Elegant Resorts our travel app is available for download to your mobile phone or tablet. Everything you need to know about your flight is at your fingertips. 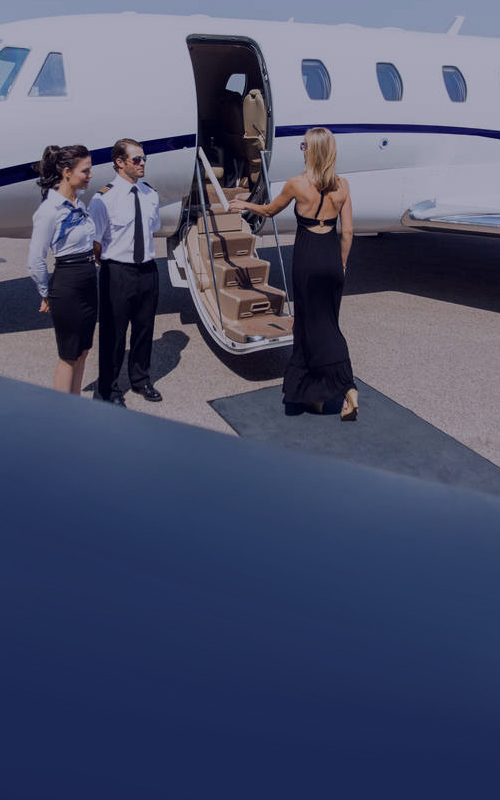 Departure and arrival details, airport, terminal, gate, baggage claim information, flight duration and aircraft type. 24 hours prior to departure, a notification on the device will allow you to check-in to your flight from within the Travel App itself. We will keep you updated with push notifications when any flight changes occur such as delays, cancellations or even gate changes, all in real-time and through a Wi-Fi connection at the airport. 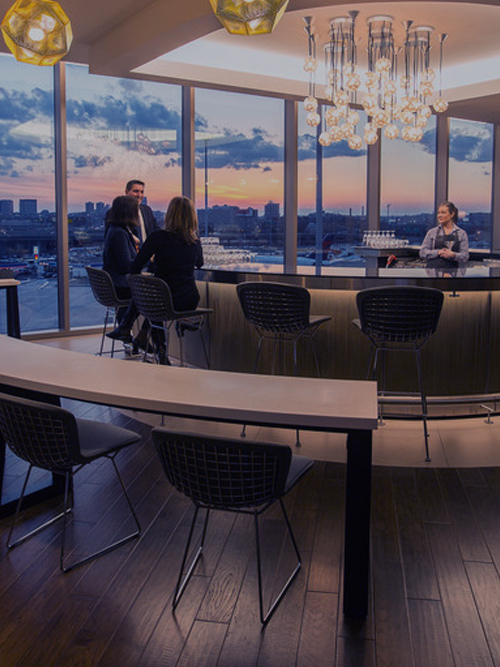 Check-in and check-out dates, room details and all the information you need to know about your luxury accommodation. Enjoy the inspiration and resources of a personal travel guide on your mobile device. 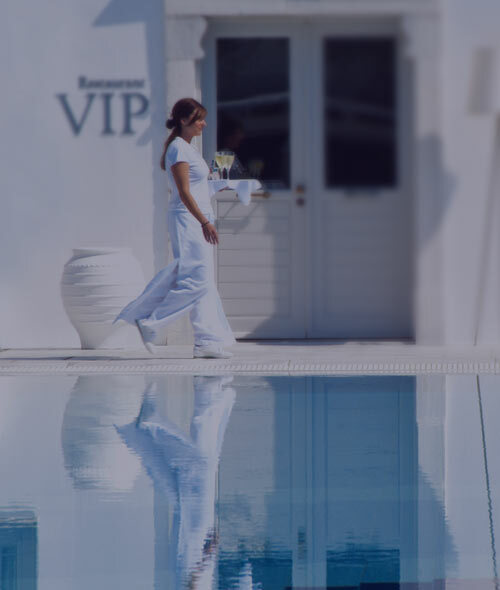 The Elegant Resorts Travel App provides a comprehensive directory of your location with attractions, restaurants, bars, shops, banks and hospitals, all with pictures and in-depth descriptions, along with opening hours and prices. •	Designed to work offline. Let our itinerary planner automatically generate daily itineraries based on your travel preferences, the popularity of places, opening hours and location. After your itinerary is generated, the planner will even provide you with directions on how to get from place to place. Alternatively, use the planner to manually add your handpicked attractions. We hope you agree that our Travel App will be the perfect companion to take with you on your next luxury travel holiday with Elegant Resorts. Q How do I install the Travel App ?  A After you book with us, we will send you an e-mail with links to download the Travel App directly to your phone or mobile device. 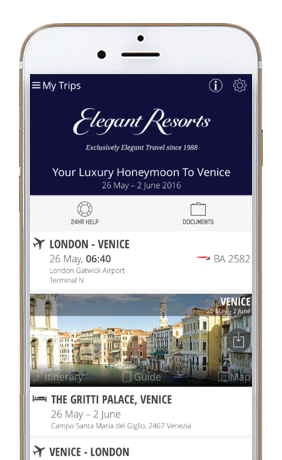 Q Which devices can the Elegant Resorts Travel App be used on? Q Is the Travel App free? A The Travel App is completely free to you when you book with Elegant Resorts and entirely free to use. There are no in-app purchases. Q Can my partner/children/travel companion access the Travel App too? A As long as they have an email address and they are travelling on the same booking, then yes they can. Please advise your Travel Consultant of all email addresses for passengers wishing to have access to the Travel App. Q Is the Travel App necessary for my Elegant Resorts holiday? A Not at all. We are providing this to you to enhance your Elegant Resorts experience but it is entirely optional. Q I don’t have an email address, can I still access the Travel App? A Unfortunately, no. An email address is required in order to gain access to the Travel App. Q I don’t think you have an email address for me/ I don’t think you have my correct email address, can I still use the Travel App for my booking? A No problem. Please contact your Travel Consultant and advise them of your correct email address, you will then be given access to the Travel App. Q Do I need a password to log in? Q Will the Travel App incur any roaming charges? A After installation, the Travel App is designed to work offline. 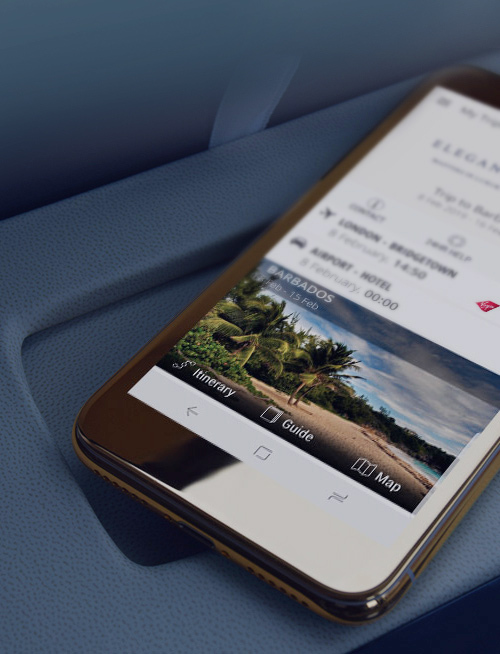 The Travel App will need to download destination guides during the first use so we suggest you are connected to Wi-Fi when you install and first open the Travel App. Some elements of the Travel App may need a data connection, so if Wi-Fi is not available we advise checking the Terms and Conditions of your mobile provider’s tariff. Elegant Resorts cannot accept responsibility for data roaming charges while using the Travel App. Q Is my personal information secure? A The Travel App works entirely with SSL to ensure all data is encrypted. Furthermore, Elegant Resorts will not upload any sensitive information to the Travel App. Data is stored using Amazon Web Services. Q Do Elegant Resorts endorse any of the attractions, restaurants or bars that are contained within the destination guides? A We have created a section called 'Elegant Suggests', where we have added restaurants that we know our luxury travel clients enjoy. Restaurants and attractions outside of this section are not necessarily endorsed by Elegant Resorts and are provided for your information and convenience only. 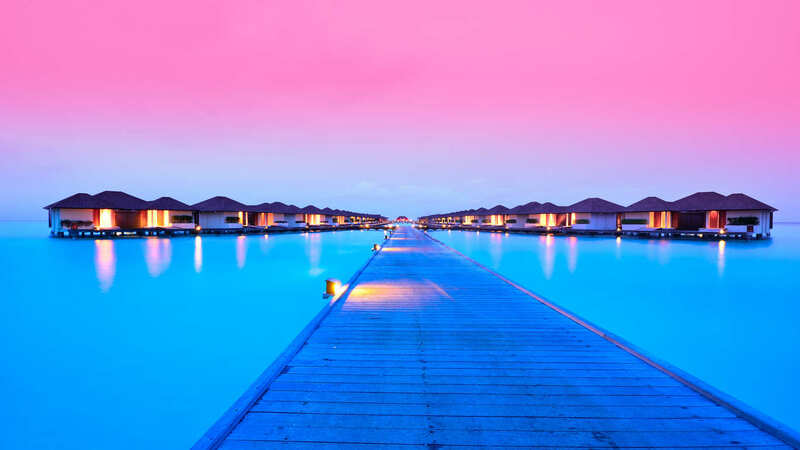 Elegant Resorts cannot accept any responsibility whatsoever for any traveller's experiences which are based on the Destination Guide information. Q If I have problems using the Travel App or I have a general question, what should I do? A Please send details to appfeedback@elegantresorts.co.uk and someone will get in touch with you to help. Q I'm not very technology-minded. Do you have any tutorials for the Travel App that I can refer to? A Yes, we do. Please visit this link.